Authentic tribal rhythms, exotic jungle sounds and ethereal soundscapes by ThunderBeat invoke the atmosphere of ancient Mayan temples. Hemi-Sync® frequencies combine to assist you in reaching higher states of consciousness. Enter into ceremony as these venerable predecessors call you to join them. Instruments include drums, flutes, bells, rattles, marimba, didgeridoos, and sounds of the rainforest. 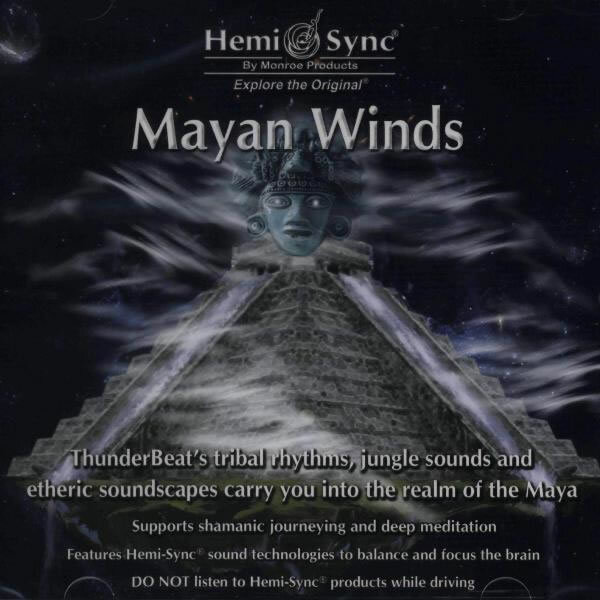 Higher states of consciousness, meditation music, shamanic music.